Thirty-five new items have just been added to our Meteorite Jewelry collection. Browse the Space Weather Store for something out of this world. CHANCE OF STORMS: NOAA forecasters estimate a 30% chance of polar geomagnetic storms today. The reason is an incoming CME, which could deliver a minor blow to Earth's magnetic field during the next 24 hours. 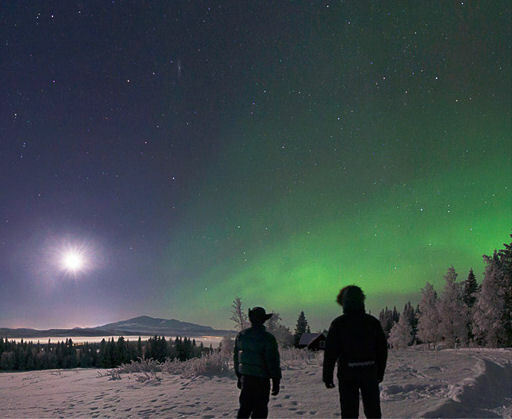 Arctic sky watchers should be alert for auroras. Aurora alerts: text, voice. "Two friends and I went out last night to capture the aurora that was forecast," says Strand. "It turned out to be a fantastic night with a half moon lighting up the landscape in a lovely way. In the distance you can the mountain Åreskutan, the biggest ski resort in Sweden." "I created this animation using images taken through a 4-inch refractor, starting at 23h on the 15th of January and ending at 01h on the 16th," says Lawrence. "The comet is clearly visible moving among the stars of Gemini, in an area just to the south of Castor." 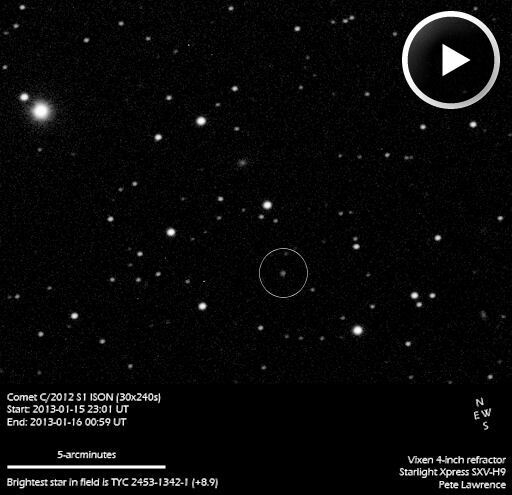 Comet ISON looks so puny now because it is more than 600 million km away. In late 2013, however, it will be much closer. A key date is Nov. 28th when Comet ISON flies through the solar corona only 1.2 million km from the surface of the sun. If the comet survives the encounter--a big IF--it could emerge glowing as brightly as the Moon with a sensational tail sure to create a worldwide sensation. Stay tuned! The sunspot's magnetic field, illuminated above by the extreme UV glow of hot plasma and flares, has a 'beta-gamma-delta' configuration. That means it harbors energy for powerful X-class eruptions. So far, however, the sunspot has failed to produce a major eruption. Perhaps the tension is being relieved prematurely by restless fidgeting. 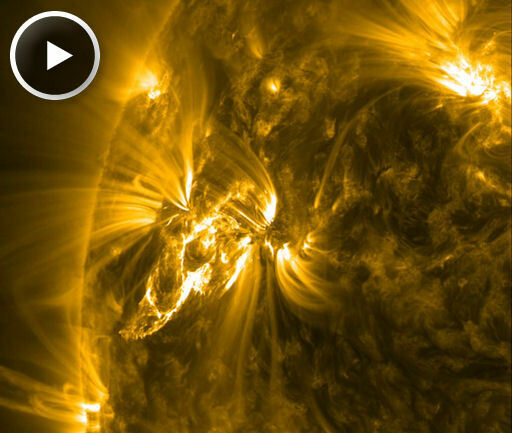 NOAA forecasters estimate a 5% chance of X-flares during the next 24 hours. Solar flare alerts: text, voice. On January 18, 2013 there were 1367 potentially hazardous asteroids.